Git may seem like it’s the only version control system out there sometimes. And while it’s definitely the most popular option right now, competing technologies like Subversion and Mercurial still have their fair share of users, especially in the enterprise. 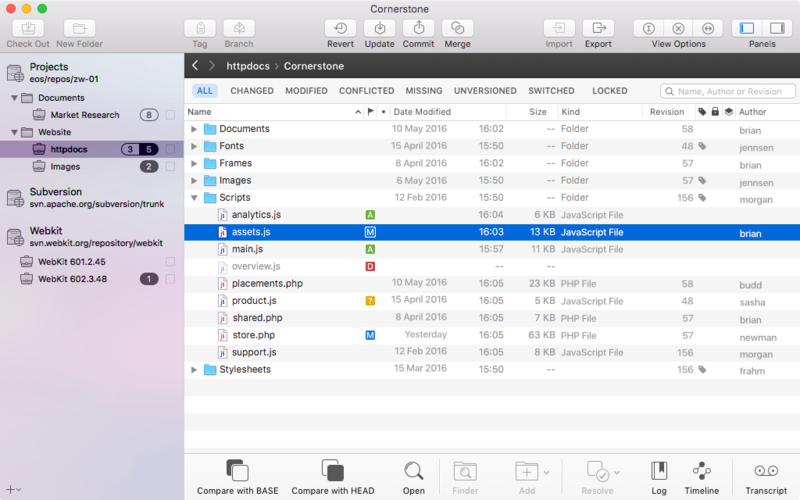 It’s maybe no surprise, then, that Assembla, which offers a version control service for the enterprise with a strong focus on Subversion, today announced that it has acquired Cornerstone, one of the most popular Subversion clients for MacOS. Assembla acquired Cornerstone, as well as Zennaware, the company behind the product. Zennaware first launched Cornerstone back in 2008, and Assembla will continue to sell and develop the client, and plans to launch version 4.0 in the coming months. The financial details of the transaction remain undisclosed. Assembla itself was acquired by Scaleworks in 2016. The overall thesis behind Scaleworks, which is essentially a hybrid venture capital fund/private equity play, is to help businesses move to the next level after they’ve hit a plateau in their growth. Before being acquired by Scaleworks, Assembla was looking at flat growth. Since then, though, the company has doubled sales, in large part thanks to its newfound focus on the enterprise — and this acquisition clearly shows that the company plans to follow this trajectory.